Prof. Verónica López is from Lima-Perú and studied kindergarten teacher and elementary school teacher there. Since 2002 she works as a kindergarten teacher and later also as a Montessori teacher in Vienna. She is the founder, chairwoman and director of the children's groups "Sonnenkinder - Hijos del Sol", which have been represented at three different locations in Vienna since 2009. 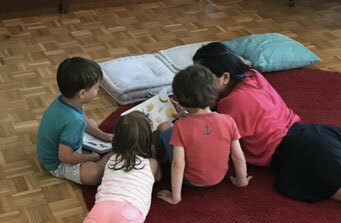 In September 2017 Prof. López founded the first Vindobona Montessori private school German-Spanish. She is a certified estate agent, dance teacher for Latin American folklore and has successfully completed her JUS degree in Lima-Perú. She is married and mother of a daughter. 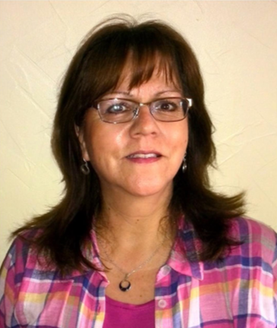 Ms. Novinic is a trained Montessori teacher and elementary school teacher. She completed her teacher training successfully at the Vienna University of Education. She is the supervisor of the project "Many Languages - One World", which deals with the learning of foreign languages. In addition to her mother tongues of Croatian and German, she is fluent in spoken and written English. She is sporty, loves children, guitar and music. 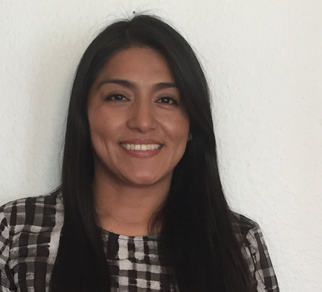 Ms. Carmona also comes from Chile where she completed her education as an elementary school teacher specializing in English. The concept of Maria Montessori has always fascinated and inspired her. She has repeatedly expanded her technical knowledge in numerous further education courses. She lives and works in Vienna for over 25 years. For 15 years she has experience with Spanish lessons for children at elementary school level. Ms. Izaguirre completed her first musical training in 2009 in Caracas with Benjamin Vera at the Johann Sebastian Bach Music School. This was followed by various training and engagements throughout Europe. Since 2010 she lives and works in Vienna with children, teaches music and accompanies her pupils on stage. Team "Hijos" - our children - come from different countries and have different native languages. They are all radiant creatures that enrich our lives. We accompany them carefully, responsibly and mindfully and so that their radiance is preserved.